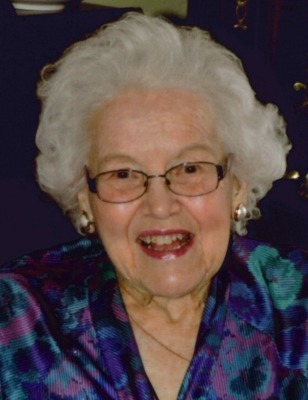 Jean Massie Bosch, 94, of Lancaster, passed away on December 5, 2017 at her home. She was the loving wife of the late Dr. Gerald “Jerry” J.A. Bosch, Professor Emeritus of Penn State University and Millersville University. Born in Washington D.C., she was the daughter of the late Herrick Stuart and Louise Wills (Cobb) Massie. After receiving her BS in Secondary English from Randolph Macon Women’s College and then her Master’s Degree in Guidance Counseling from Michigan State University, she spent some of her career teaching English and Social Studies for the Chesterfield County, VA Public School System. She later dedicated herself to her family as a homemaker while living in State College, PA and Lancaster since 1972. She was a member of Highland Presbyterian Church where she taught and attended Sunday school for over forty years. She most recently enjoyed being part of the B.O.B. group (Babes of the Bible) and Senior Life Institute listening to speakers of various topics of faith. Jean was a member of Penn State Campus Club, Millersville Campus Club, Donegal Chapter of Daughters of The American Revolution, Iris Club, multiple book and bridge clubs, and was a Den Mother for the Cub Scouts in State College. She is survived by her two sons, G. Randolph Bosch (husband of Ruth) of San Diego, CA and Christopher Stuart Bosch (husband of Deborah) of Lancaster. Also surviving are 4 grandchildren and 3 great-grandchildren. I knew Jean through the Donegal Daughters of the American Revolution Chapter. Despite our being many, many generations apart, we immediately bonded because she attended R-MWC and I attended Sweet Briar College. We enjoyed sharing stories about living in the South and particularly about Lynchburg and Richmond, VA. She served our chapter successfully in volunteer leadership capacities over the years, and was so loyal as a member at large. Her beautiful eyes, bright smile and warm disposition lit up a room. She was so very kind to all whom she encountered. She was a grand lady and will be greatly missed – it was an honor to know her. Dearest Jean — gracious lady, loyal friend, independent Southern belle. I cherished Jean’s friendship and strength and will miss her immensely. Christmas and Jean, together in spirit. I met Jeannie through my mother, Marty Davis. They were both members of Millersville’s Campus Club and more specifically, The Craft Group, a spinoff. The club’s membership dwindled as people passed or moved away until we were left with only a handful of ladies. The group would meet monthly, usually at the Barn Door or at Willow Valley, and I would chauffeur them. I really enjoyed being part of this group and became very fond of its existing members. Jeannie and I would have many meaningful conversations about books, religion, family, travel. She impressed me with her insight, courage, and positive perspective . Being upbeat is tough to do as you age and her gumption to travel, sometimes alone, was Inspiring. After Mom went to Country Meadows, Jeannie would call to find out how she was doing and sent several cards to keep in touch. Please accept my condolences….she will be missed, but her kindness will always be remembered. She has touched my life as , I’m sure, many others. I will sincerely miss Jean. I got to know her well when she donated to our church fund raiser for some of the youth to go on a mission trip 10 years ago. We formed a friendship that I valued to this day. She was so sweet and caring and always took the time to remember details of my life whether it was in person or through cards when I moved away after college. She was a constant reminder of someone who was so dedicated to her family and church. Jean – thank you for sharing your blessings and for being a role model here on earth. Jean will be missed so much by our Donegal Chapter of the Daughters of The American Revolution. Everyone loved Jean! She was so kind and interested in getting to know everyone! And everyone knew her because she was a lady whose personality sparkled with genuine kindness. We often chatted about our common connection with our families in Hempfield. I am sure our DAR members echo the words my friend Ann Carter wrote above – It was an honor to know her.